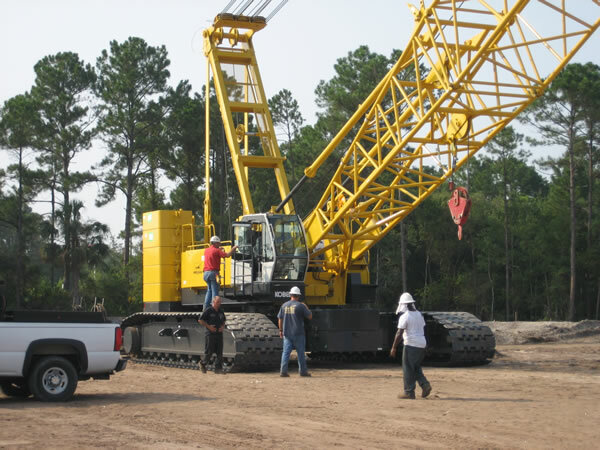 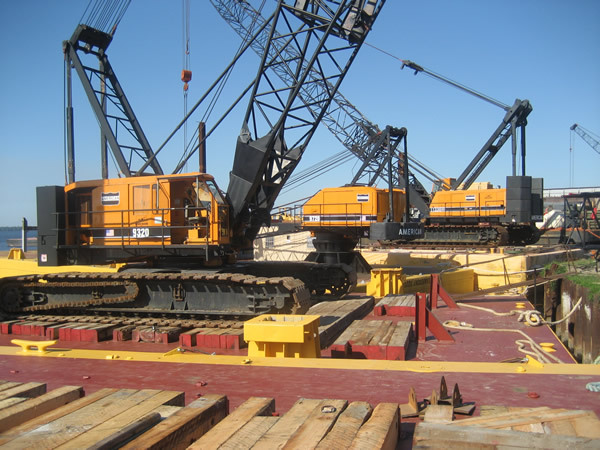 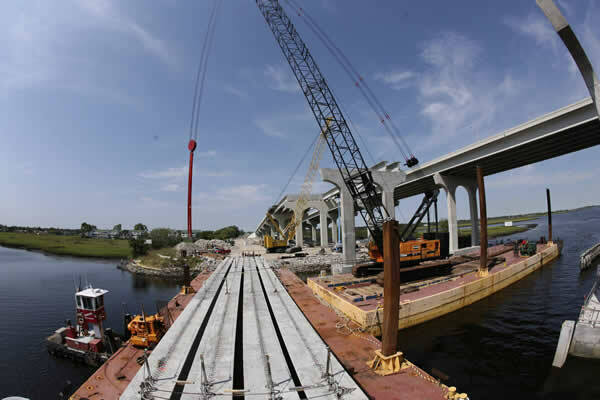 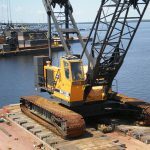 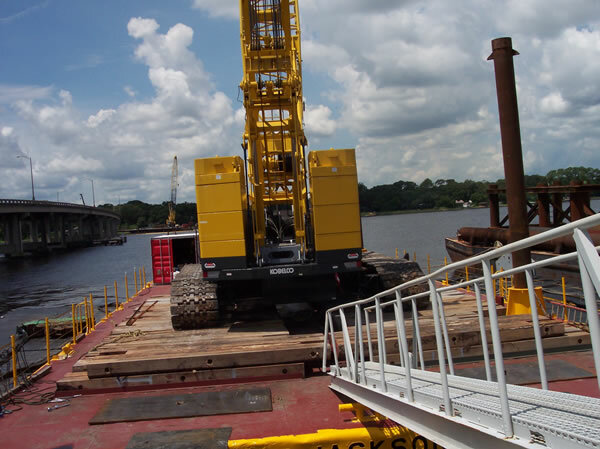 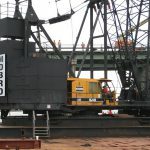 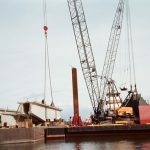 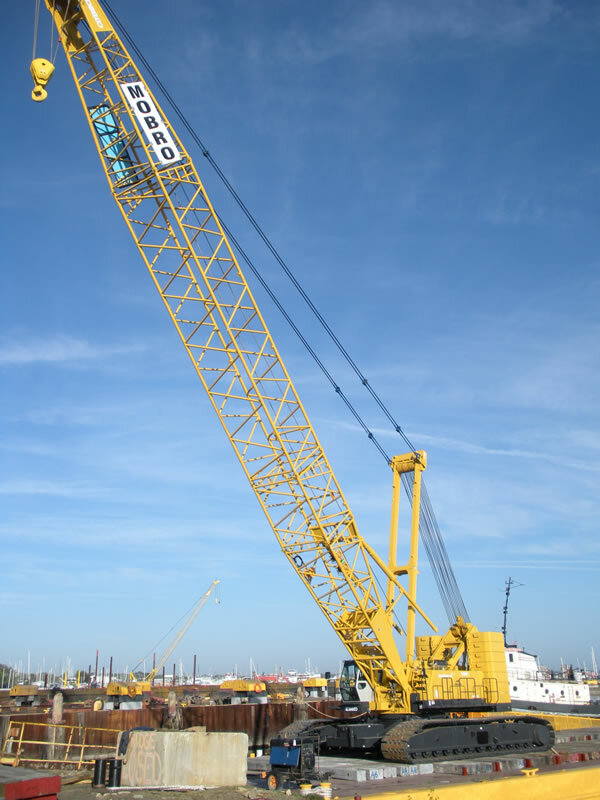 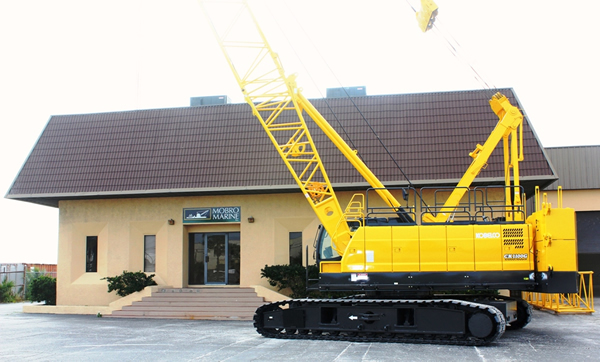 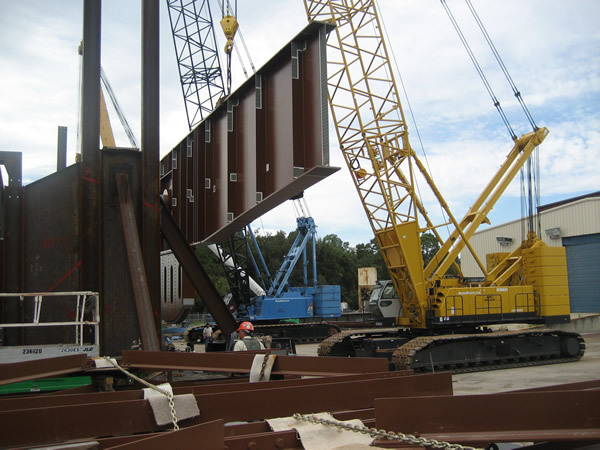 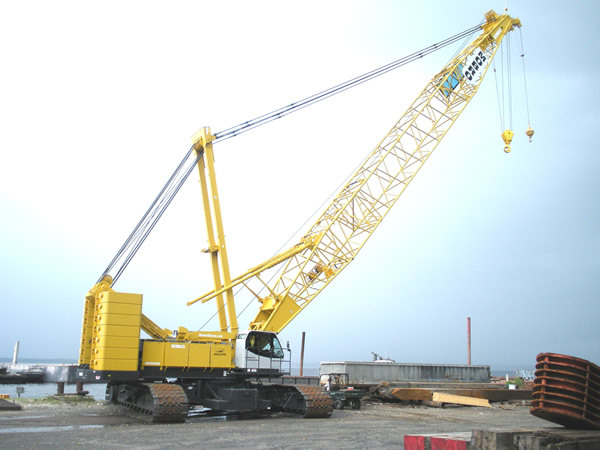 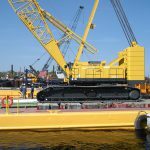 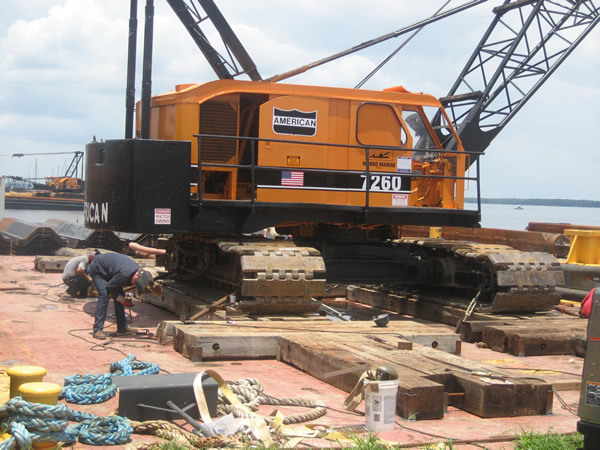 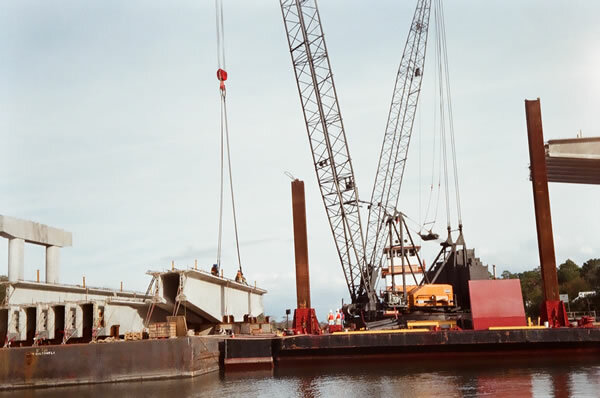 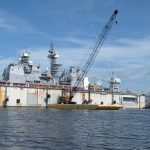 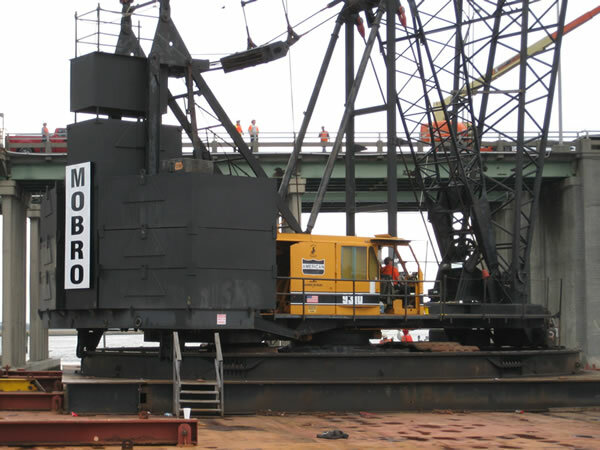 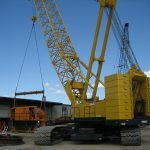 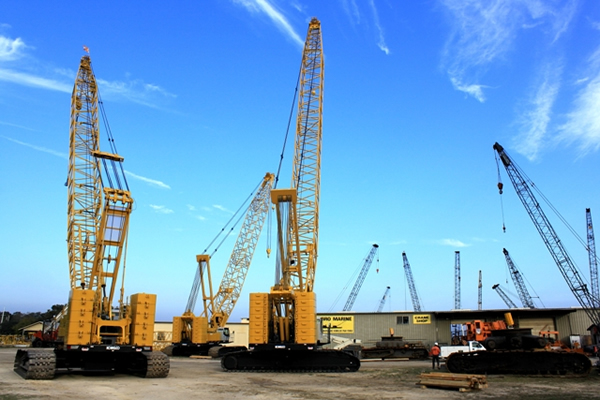 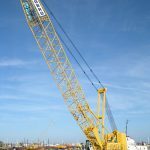 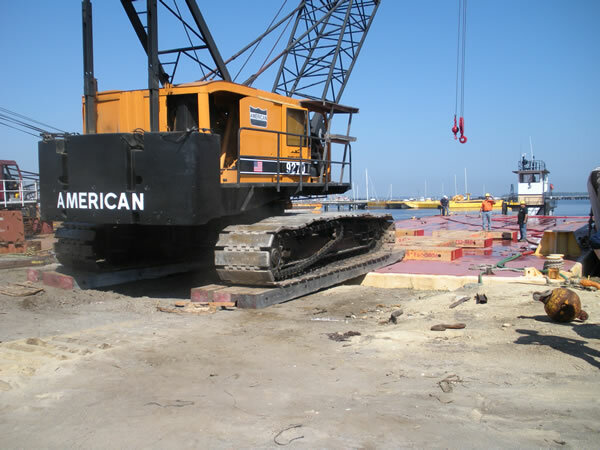 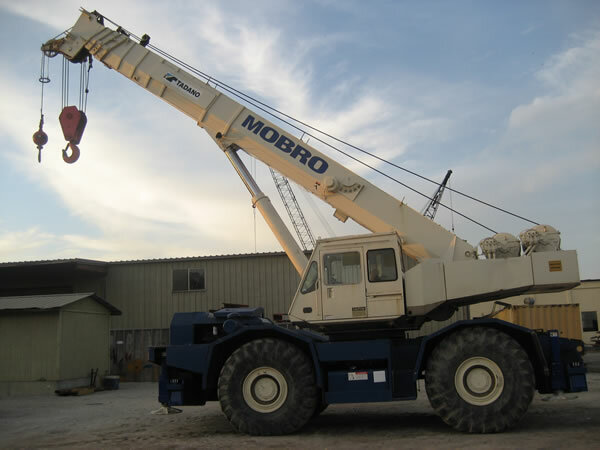 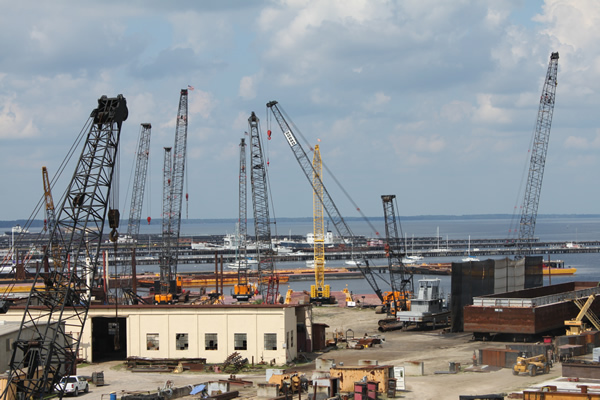 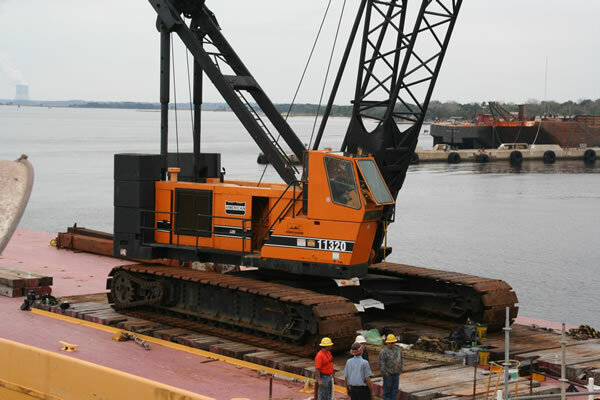 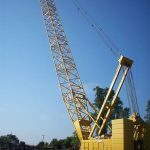 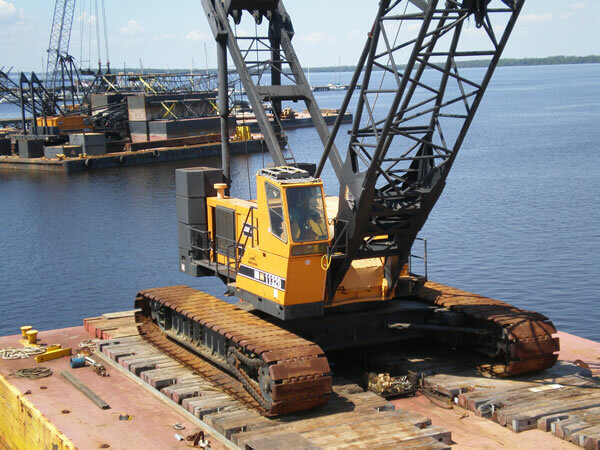 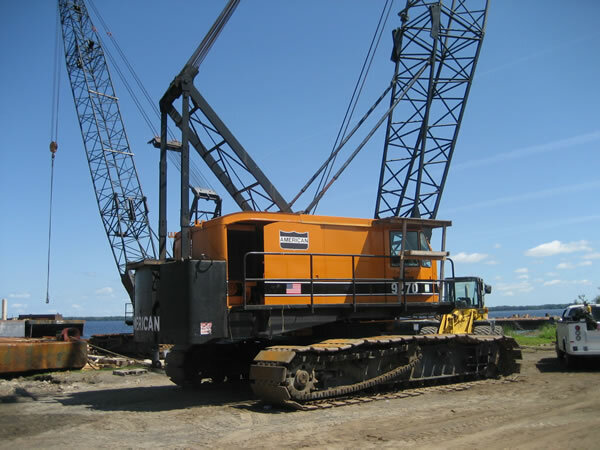 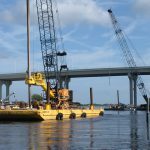 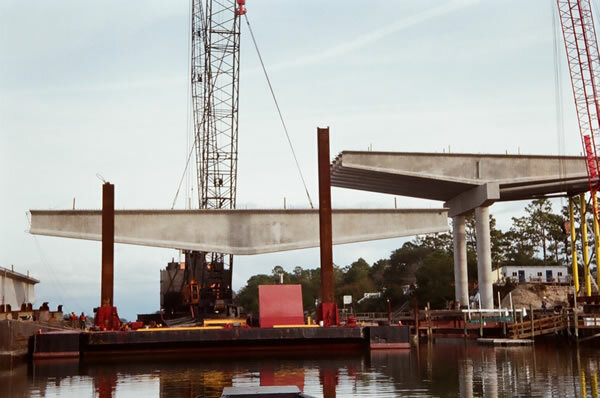 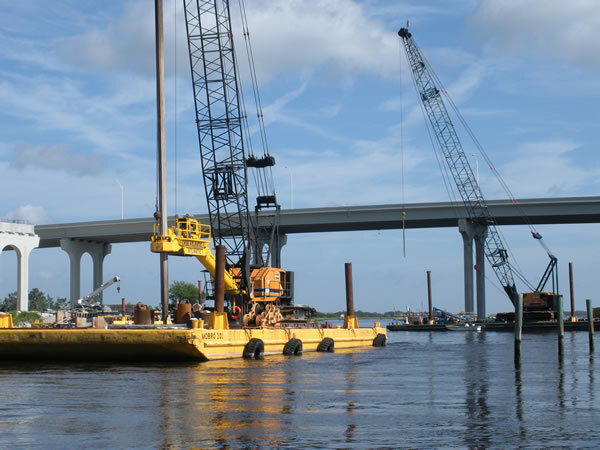 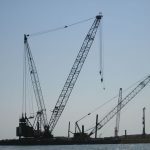 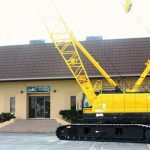 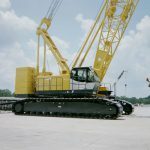 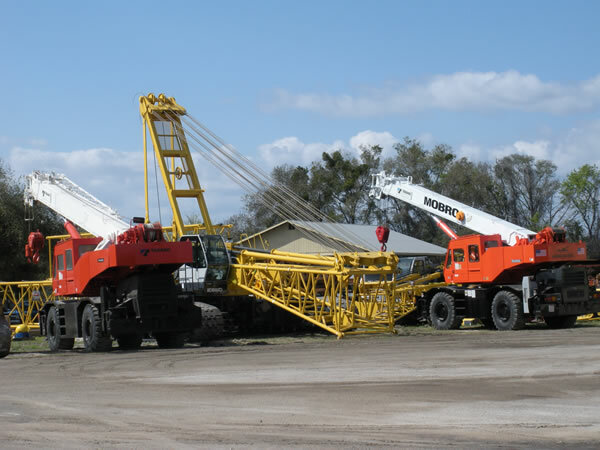 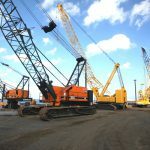 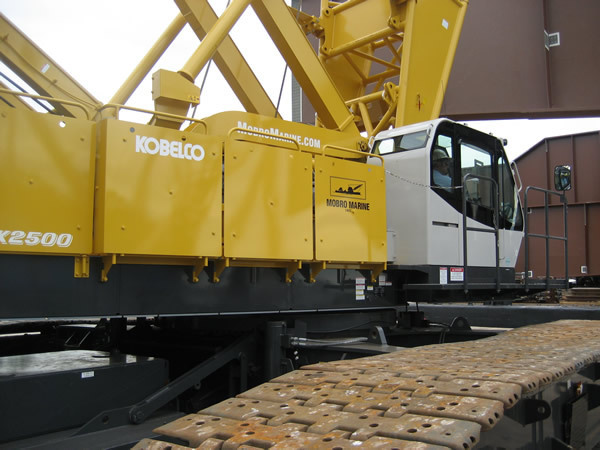 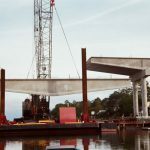 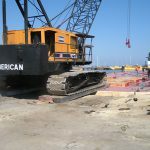 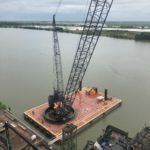 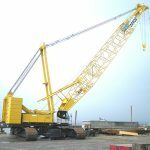 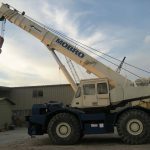 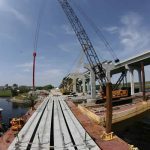 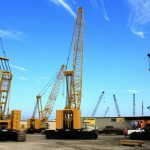 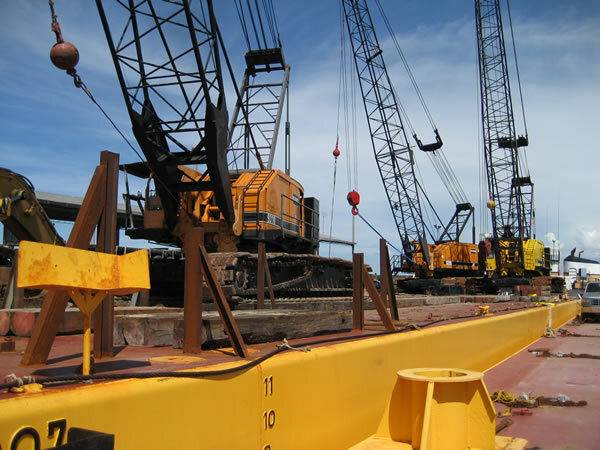 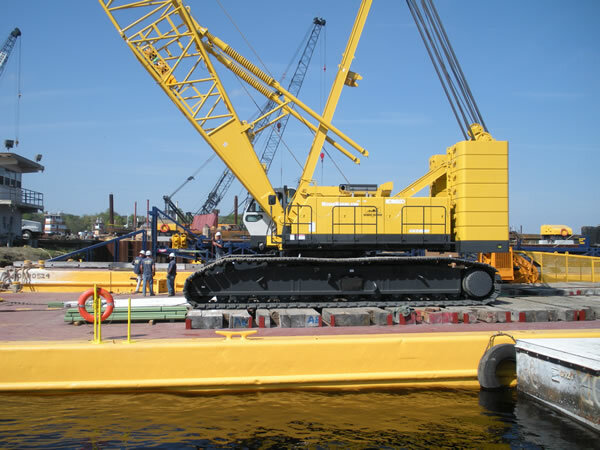 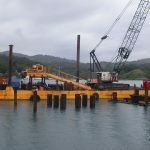 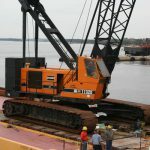 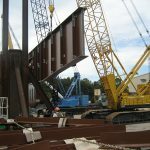 Cranes | MOBRO Marine, Inc.
MOBRO Marine has an extensive fleet of cranes available for rent. 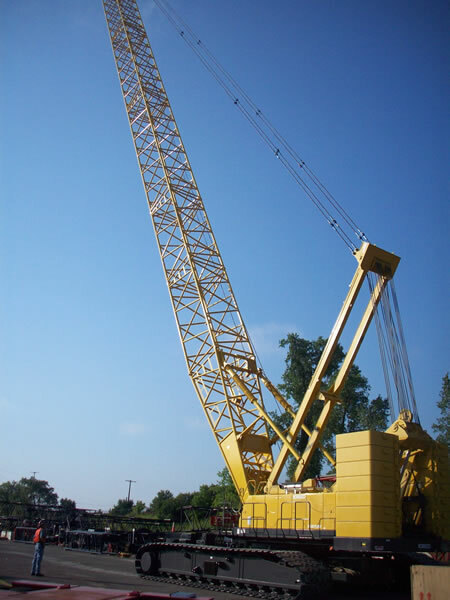 Our cranes range from 30 tons up to 450 tons. 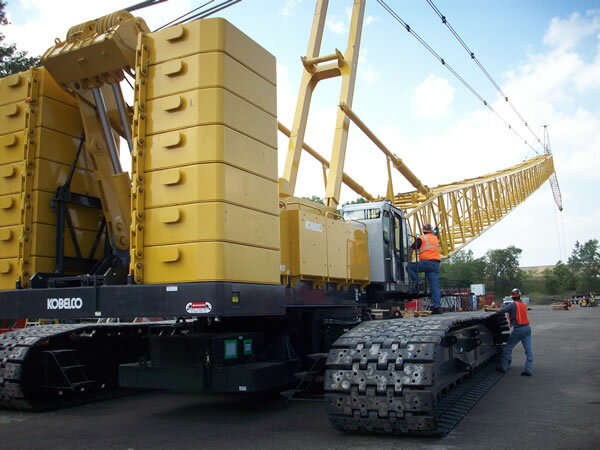 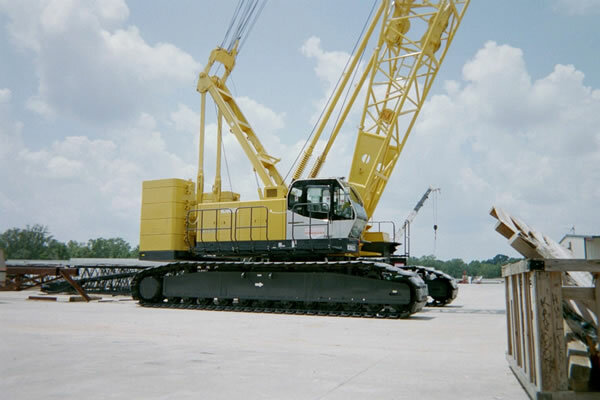 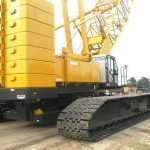 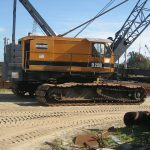 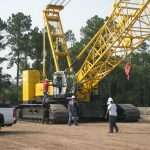 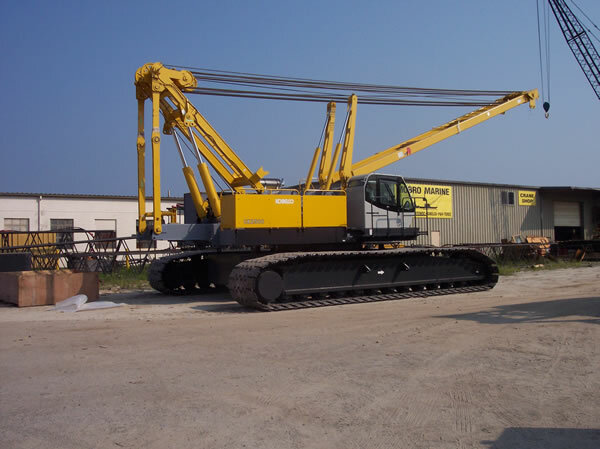 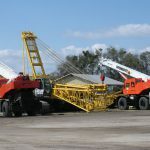 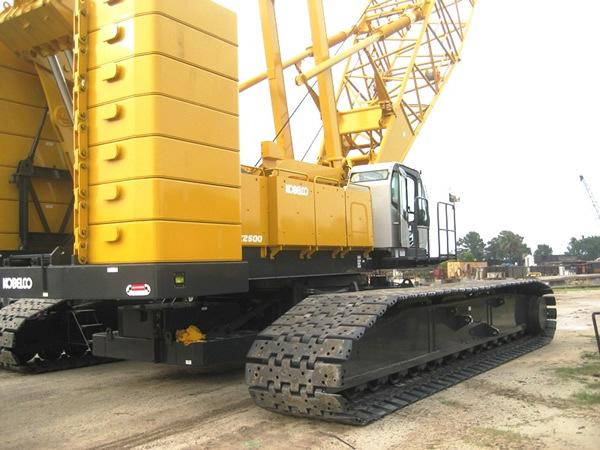 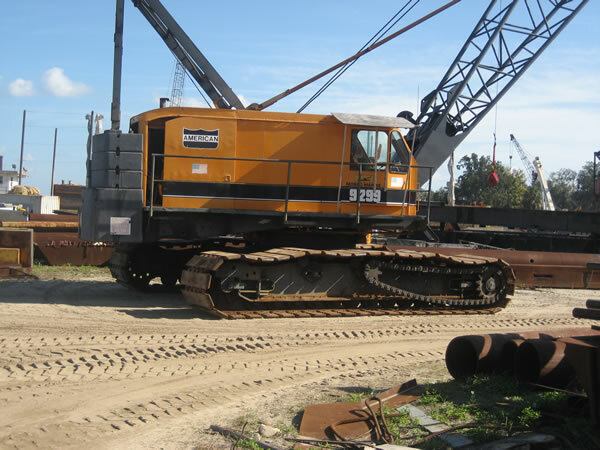 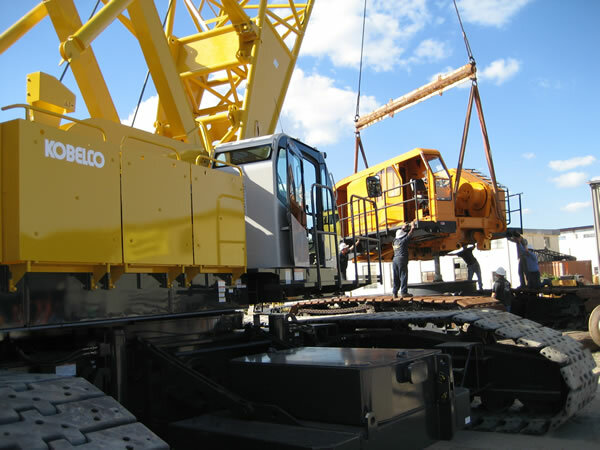 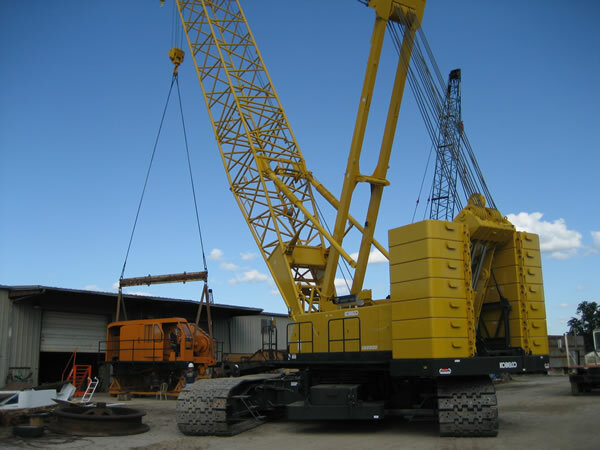 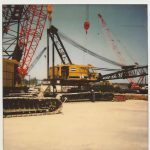 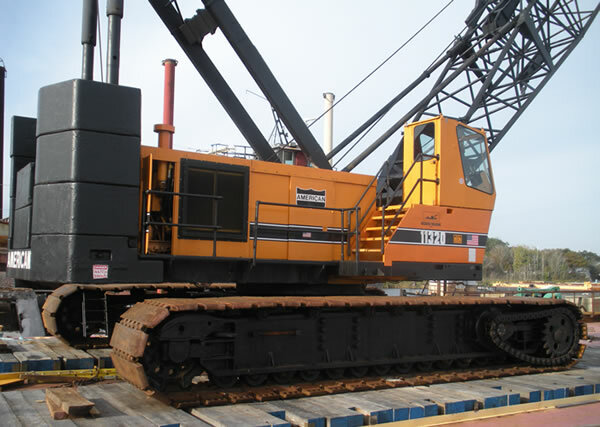 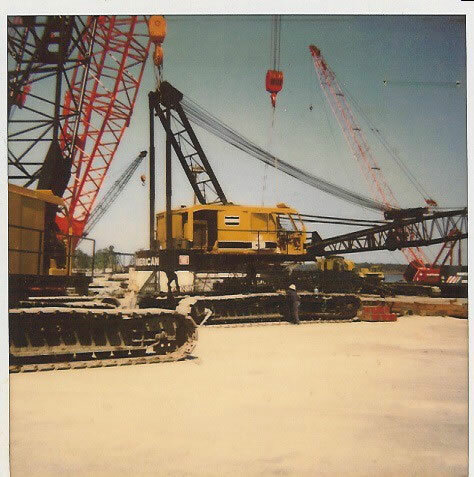 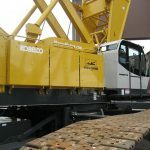 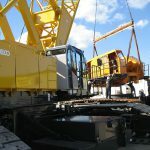 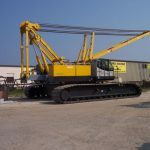 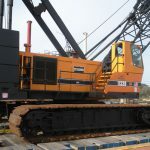 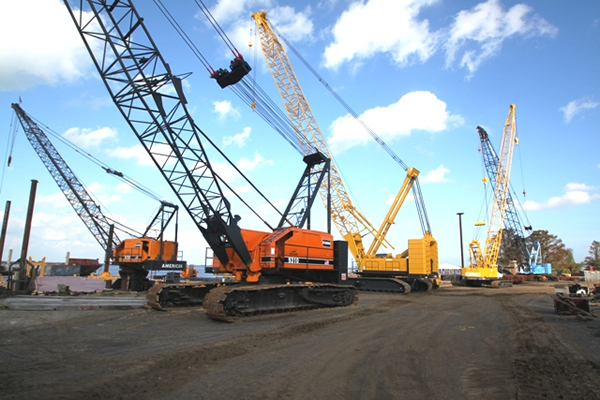 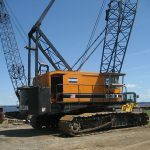 This fleet offers hydraulic crawler cranes, friction crawler cranes and rough terrain cranes. 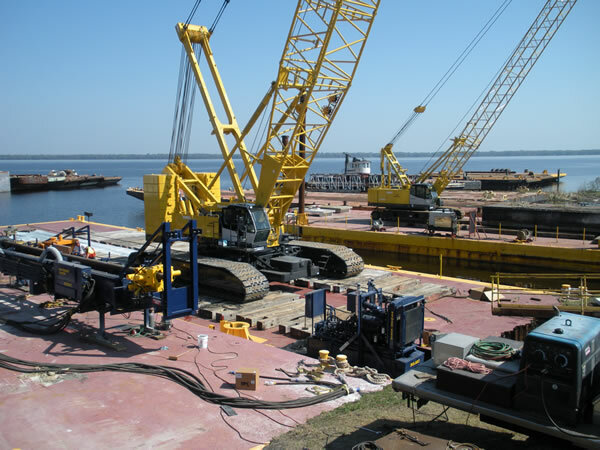 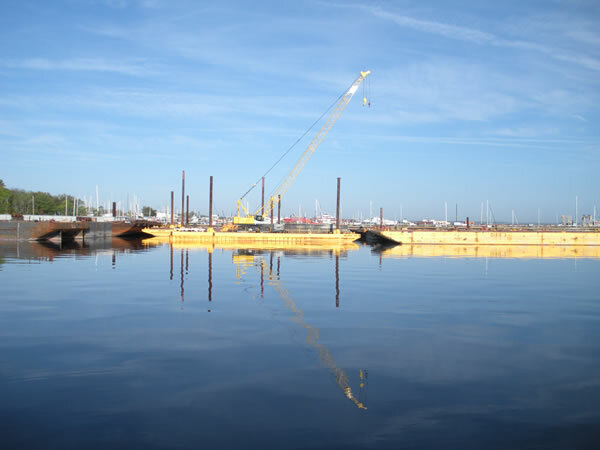 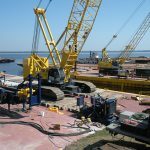 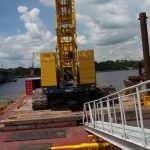 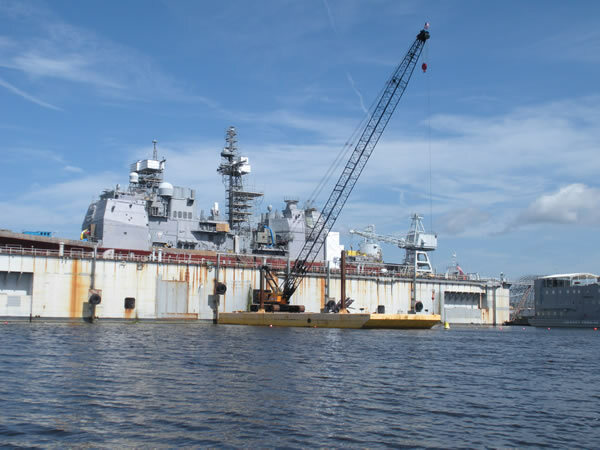 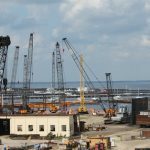 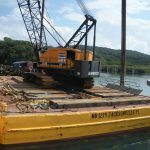 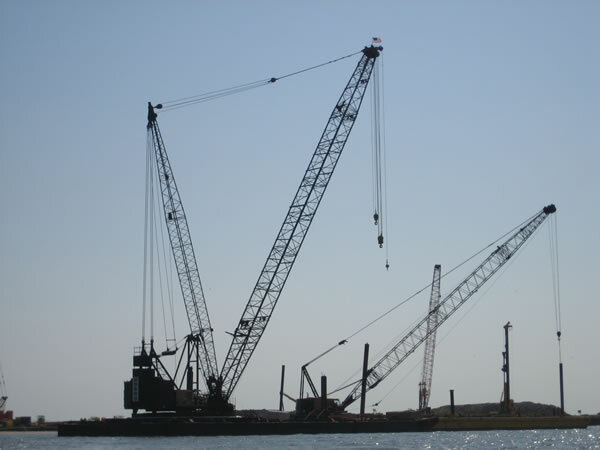 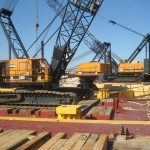 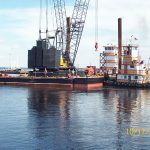 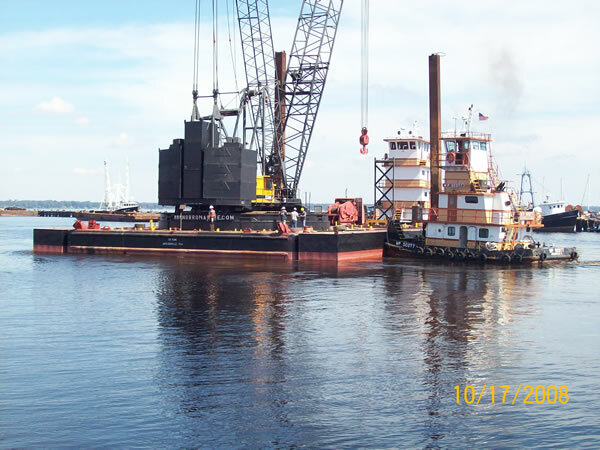 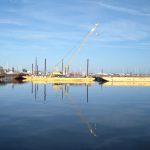 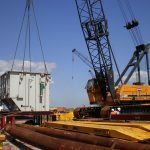 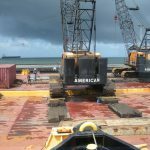 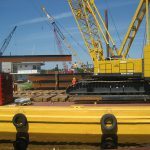 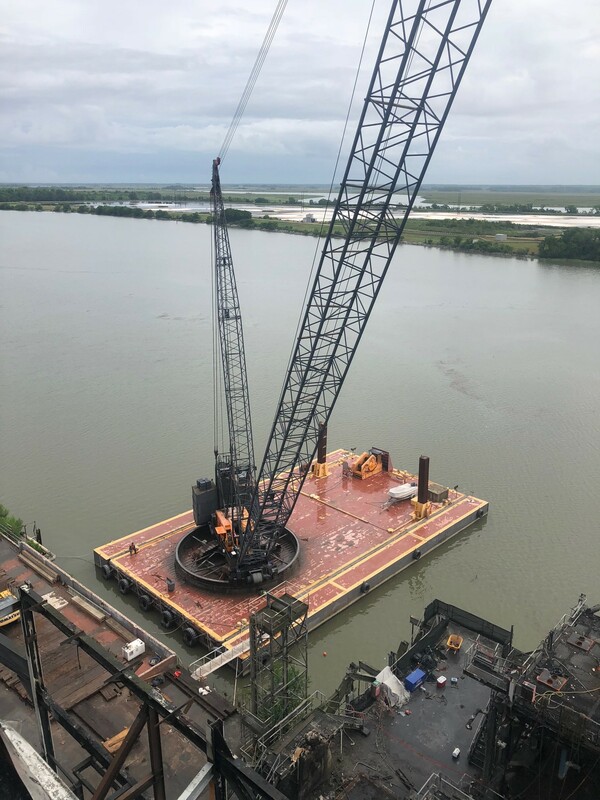 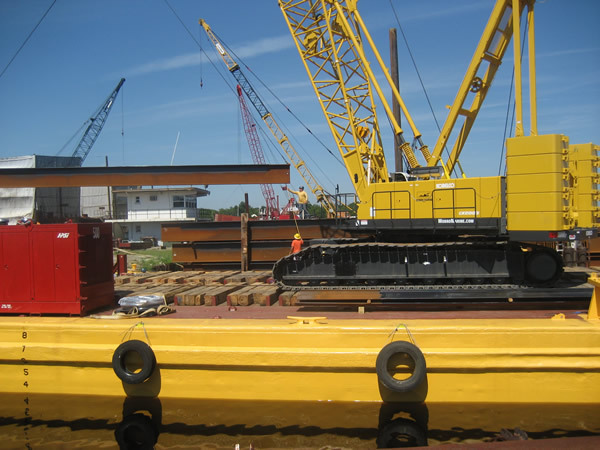 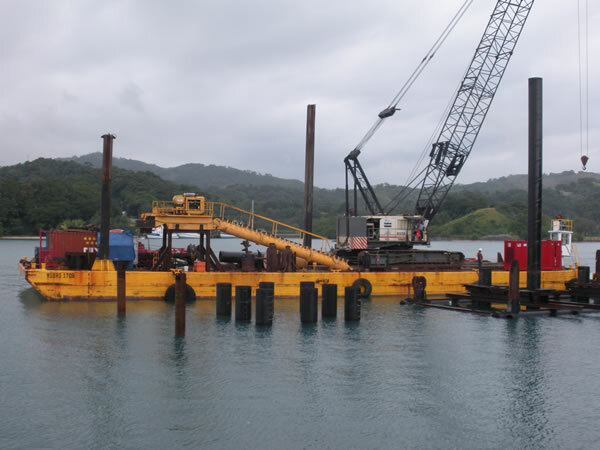 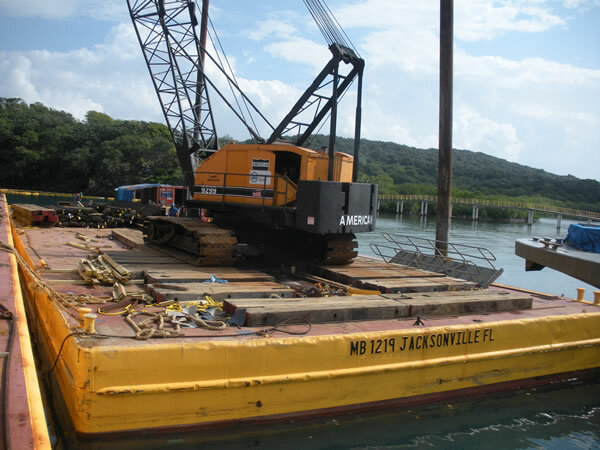 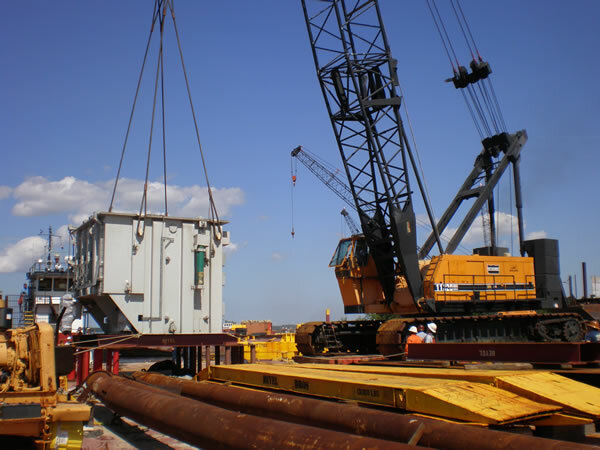 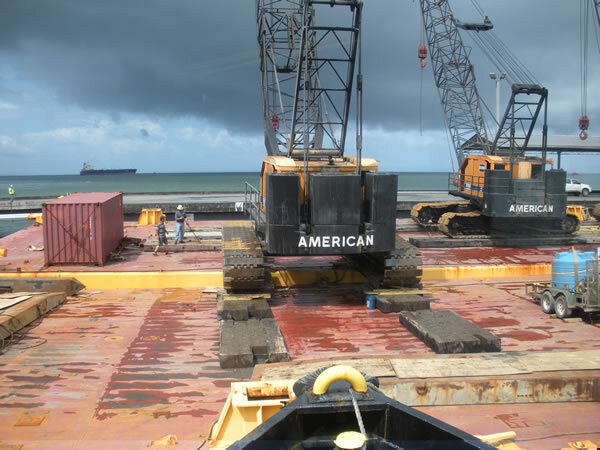 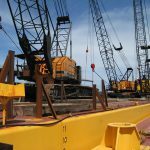 Our cranes are available for rent on barge or land, both foreign and domestic.